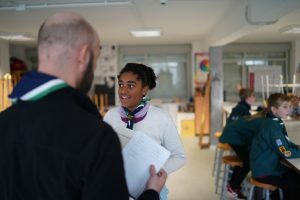 This month’s meeting was held at St Georges school with Rikki Bilverstone, our Assistant District Commissioner visiting us. 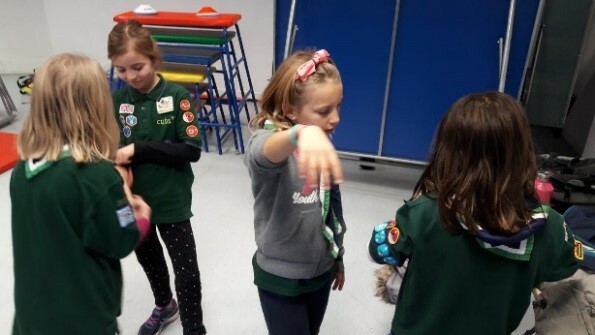 Beavers were also joined by brand new leader Olivia who stepped up as a volunteer after meeting us at the Remembrance service in November, thank you! 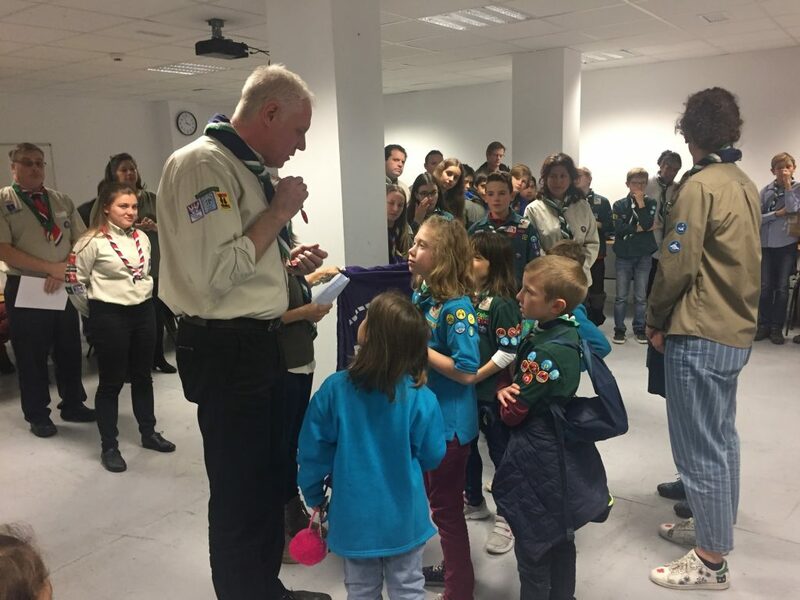 It was a pleasure to present the highest award in Beavers to Romilly, Alex and Sofia who have worked towards this for the last two years and have been great to get to know over the last few months, well done to each of you! Resident expert Felix showed us some new games and brought out some old favourites before we headed to the canteen to talk about good and bad foods and how to indulge in the odd treat as part of a balanced diet, this was followed by a chat about the Beaver promise and a conga style game about snakes with tails! We gave all our Beavers a good report!! We started the meeting awarding badges and recognitions for activities and challenges achieved. 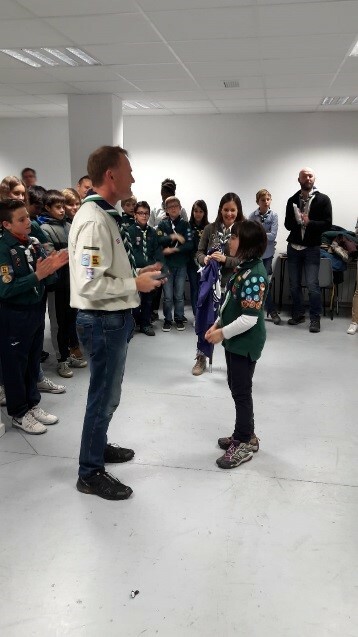 Special recognition to Sonia for achieving the Chief Scout´s Silver Award badge which is the highest award a Cub can receive. We are very proud of you! 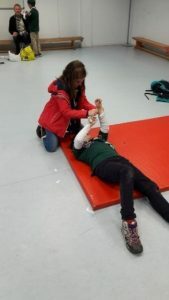 Then, we started a First Aid training, focusing on interventions that could happen during camp. 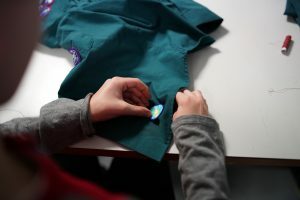 We all learned how to treat cuts, bruises, grazes, burns, scalds, and nosebleeds. We first spoke about the do´s and don’ts for each incident followed by practical treatment exercises which our future doctors performed with great gusto. We also covered viper/snake bites and hairy caterpillars, although we all agreed it is better to stay away from them we felt that we should “Be Prepared” for any incident. We repeatedly made clear the Spanish and U.K. emergency numbers and what type of service (police, firefighters, ambulance) we would need depending on the situation we are in. At the end of the training we all felt that we were prepared to take care of each other should any incident occur at a camp site. 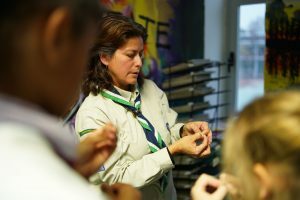 Meanwhile, individual Cubs worked with the Cub leader to make her/his own woggle. 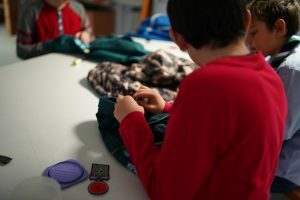 All Cubs took a handmade woggle home which they can wear with the proudness of having done it with their own hands. 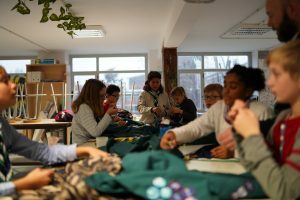 Lastly the prizes of the raffle tickets were given and we were all made aware that the real gift is to collect money so that the group can continue to offer exciting activities at a reduced price. 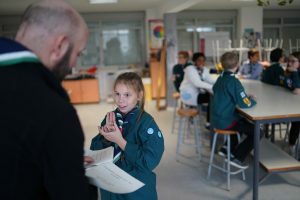 We started with the Scouts proving their knowledge in the Scout Law. 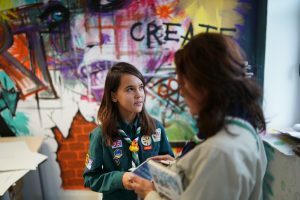 Each one of the Scouts had to tell each one of the seven laws. They should have at least three correct to get points. 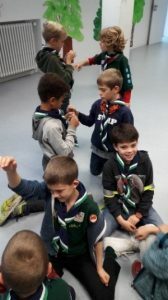 The Scouts helped to check each other. 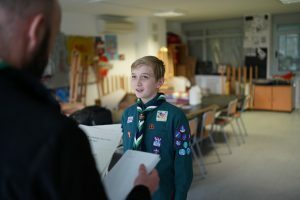 After the inspection and checking the knowledge of the scout Law it was time to give feedback and report from the November Camp. 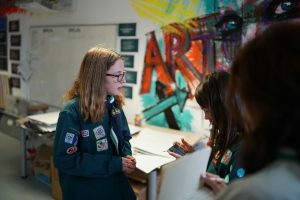 The Scouts was working in pairs to discuss what was good and what could change for the next Camp. They were also coming up with a list of things they really like to do during a camp. After the November Camp Report we had some snacks. 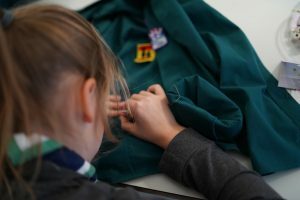 After snack time it was time to improve and show their skills in sewing..
One of the most difficult part of sewing seemed to be getting the thread through the eye of the needle. The main activity during the December’s meeting has been learning how to make our own web page. 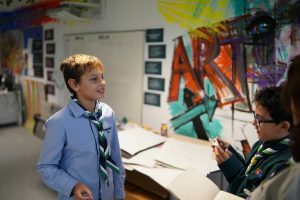 After the necessary explanations, the children had to build a web page using the pictures they had previously selected and brought to the meeting.The webpage had to be about the Scout group they belong. Due to the time was short, they have to finish it home, and the link of their web page to the leaders. 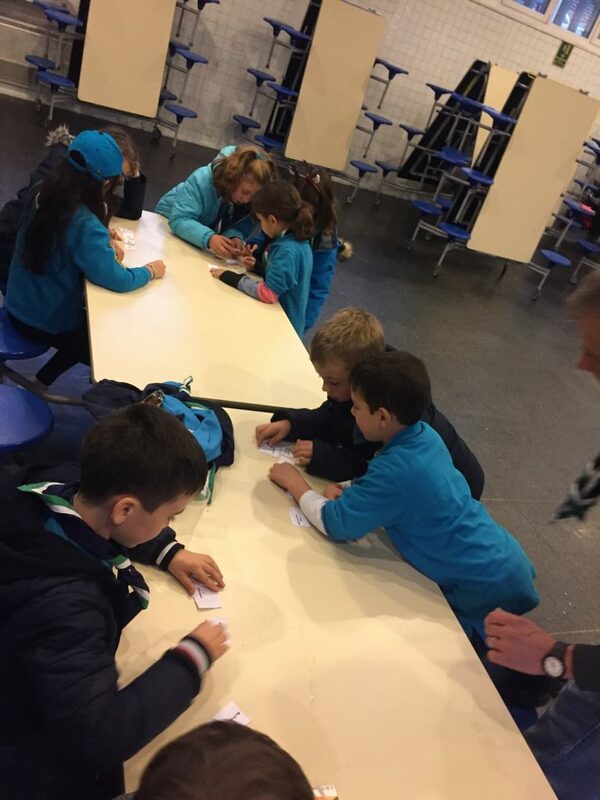 The second activity was regarding history about Scouting. 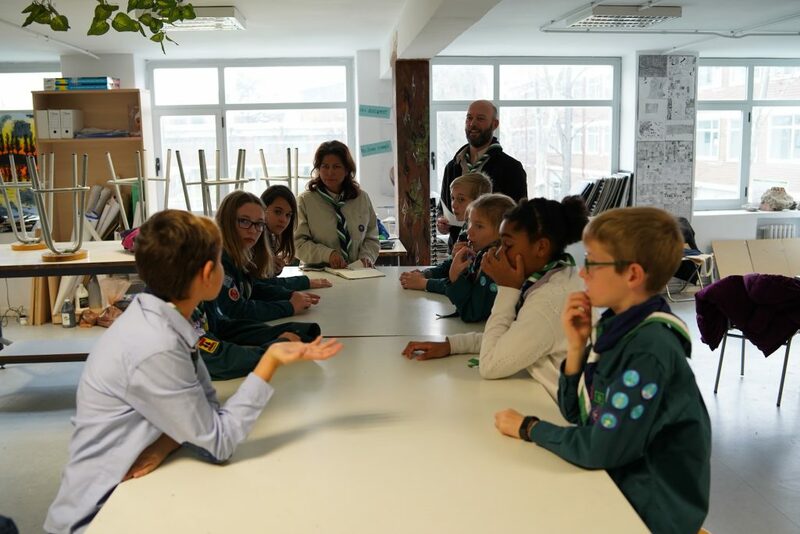 They have seen a video about Robert Baden-Powell and the groups he created in the past. 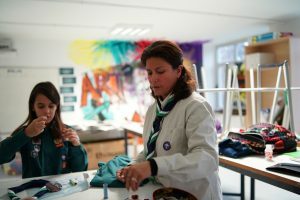 Evolution of scouting was also included. After the video we have made a contest between the two groups (Octopus and Wolves) asking questions about the video. Finally, the last 30 minutes were spent for the closing ceremony and the Christmas raffle.